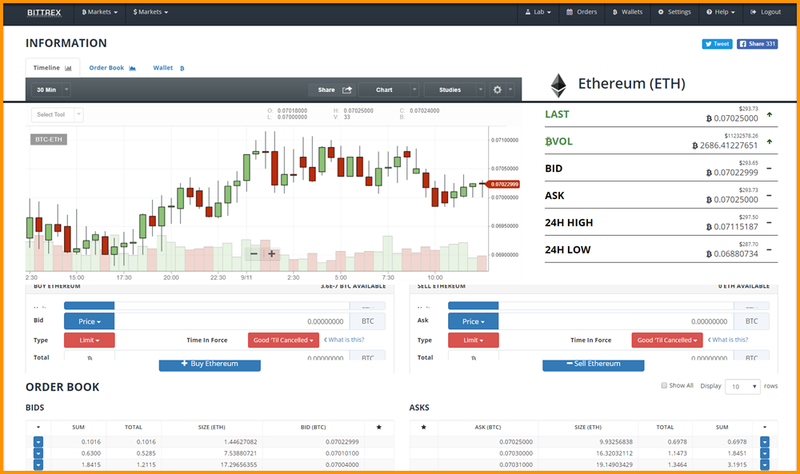 Bittrex is another exchange focusing on more experienced traders. Based in Las Vegas, it doesn’t enable direct purchases of cryptocurrencies using fiat currencies such as euros and US dollars. Instead, it focuses on paired trades between cryptocurrencies, providing a sleek interface and quick transaction times. 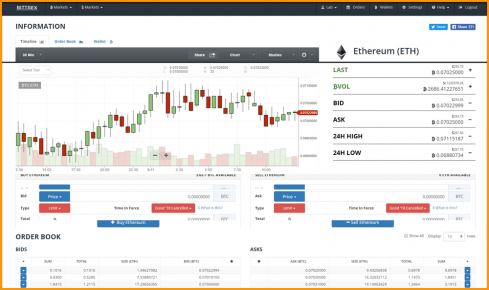 It also has a set of its own APIs, which can be used for automated trading with bots. Having been launched by former employees of Microsoft and Amazon, another one of its biggest draws is its robust security (it has never been hacked). That said, the exchange’s security and compliance efforts have resulted recently in a small number of users having their accounts disabled. Bittrex charges a 0.25% commission fee on all trades. If a customer buys one bitcoin for USD 12,122.94, for example, this means they’ll pay around USD 30.31 in commission. As for deposits, Bittrex charges no fees whatsoever, except in cases where it has to move certain kinds of cryptocurrency to another address before crediting them to a user’s account. However, it does charge for withdrawals, with their prices varying according to the cryptocurrency being withdrawn. 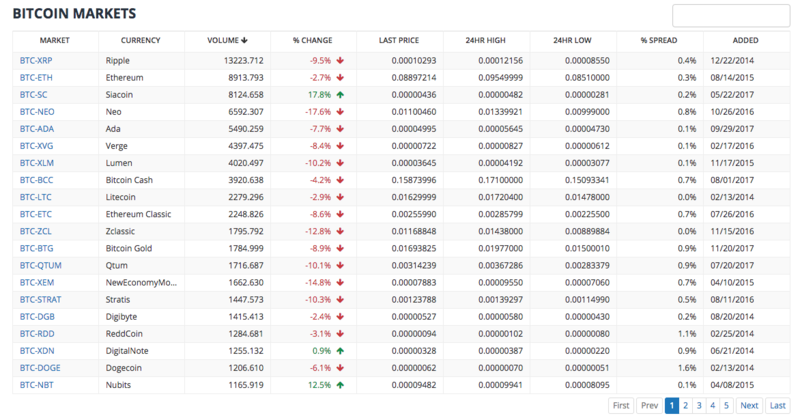 As the small sample of prices above reveal, Bittrex are generally quite competitive when it comes to withdrawal fees. That said, they’re rarely the cheapest for any particular cryptocurrency, even if they sometimes match some of the lowest prices available (e.g., for DASH in the example above). 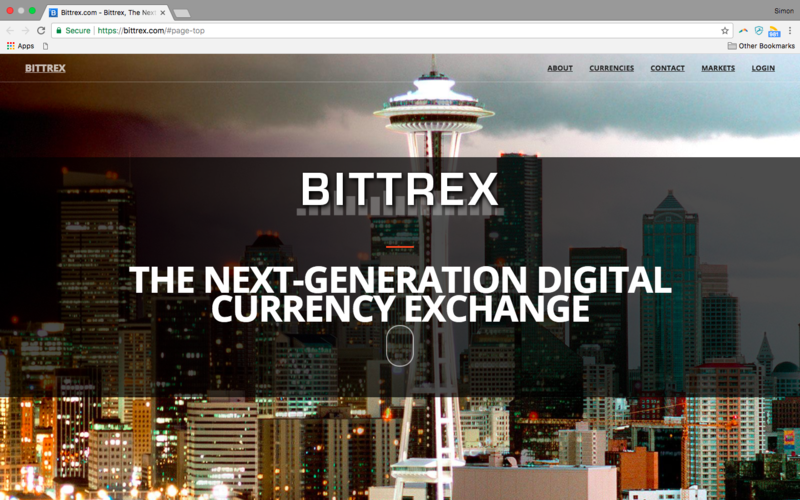 Bittrex is a US-based crypto-exchange that specializes in paired cryptocurrency trades. It was founded by former employees of Microsoft, Amazon, and BlackBerry in February 2014, and since then it has become one of the biggest exchanges in the world when measured by trade volume. Its set of APIs enable quick and easy trading, while its automated monitoring system provides fast deposits and withdrawals, making it an ideal exchange for those looking to trade efficiently at scale. Its founding by engineers with a background in cybersecurity makes it one of the safer exchanges currently in operation. Another feature important for the security of a user’s funds is Bittrex’s crosschain recovery service. For any cryptocurrency deposit worth more than USD 5,000 (at the time of being deposited), the exchange will recover the funds if they were accidentally transferred to a wallet of the wrong coin type. For example, if someone deposits one bitcoin to a bitcoin cash wallet by mistake, Bittrex will recover it for them so long as the request is sent in within seven days of making the deposit. The exchange will, however, charge 0.1 BTC for any recovery of any cryptocurrency it lists on its platform. Despite these plus points, enhanced account verification has been troublesome for some users, with a small minority complaining in Dec 2017 of an inability to withdraw their funds as a result. Similarly, in October 2017, it disabled around 0.1% of total user accounts as part of a systemwide compliance review. In other words, it may be one of the safest large exchanges on the web, but this security can sometimes create inconveniences for certain users. To deposits funds in their Bittrex accounts, users generally have to transfer them from an existing crypto wallet they have on an external platform. They can buy tether directly from the exchange, yet the minimum amount they can purchase is currently a whopping 100,000 USDT. Added to this, they need to have an “enhanced verified” account, which requires scans of a valid ID (e.g., passport), a copy of a recent bill or statement, and a recent selfie. To withdraw coins, users once again need a wallet with an external exchange. There’s no option to withdraw funds in a fiat currency such as US dollars, so users will have to make sure they have an external wallet with an exchange that allows withdrawals in fiat. Also, users should note that bigger withdrawals are possible if they have an enhanced verified rather than basic verified account. If their account is enhanced verified, they have a daily withdrawal limit of 100 BTC a day, as opposed to 4 BTC.